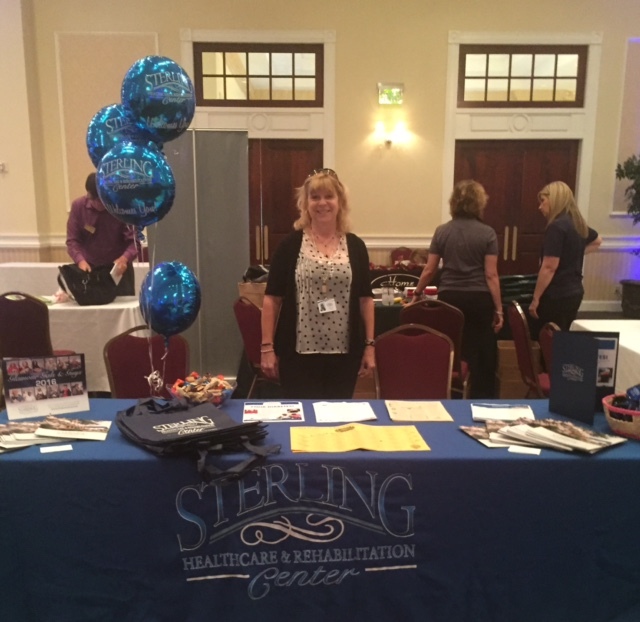 Joan Marie Hess, MSW, LSW, Director of Community Relations at Sterling Healthcare & Rehabilitation Center proudly represented our Center at the Senior Expo hosted by Rep. James R. Santora (R-Delaware) that took place this past Tuesday, September 13. Offering continental breakfast and door prizes, the event featured more than 70 vendors representing county and state agencies, as well as local businesses and nonprofits that provide valuable services to Seniors living in the 163rd District. Winners of Person-Centered Care Leadership Award from Quality Insights of Pennsylvania, and First Place Winners of the prestigious Best Practice Award from the National Council of Activity Professionals, Sterling Healthcare & Rehabilitation Center in Media, Pennsylvania delivers an array of specialized programs including intensive Daily Therapy, Diapulse Wound Care, Memory Care in a secured unit, and a unique Veterans Program. 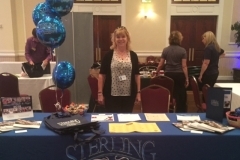 For more information about Sterling Healthcare & Rehabilitation Center please call: (610) 566-1400.